"Moonlight can totally change your life. You. Him. The moon. You’re toast." Sixteen-year-old Shelby knows she is acting out and making some bad choices when it comes to boys and dating, but she never expected her father and "wicked" stepmother to banish her to a "brat camp" for the summer. Luckily for Shelby, she is allowed to choose the artsy Camp Crescent instead of Priscilla's choice of Red Canyon—aka boot camp from hell. Camp turns out not to be a total waste even with the preachy Mr. Winters and singing guitar lady Cynthia. Shelby manages to make some new friends, but the real highlight is the arrival of Austin Bridges III. Not only is he the son of a legendary rock star, but he is also cute, kind, intriguing, and totally mysterious. Shelby is drawn to him and the terrible dark family secret that he is willing to share only with her. How can she turn her back on him, especially with the full moon only a few nights away? Davis weaves together a fast-paced action adventure story with issues of peer pressure, divorce, betrayal, friendship, acceptance, and, of course, romance. 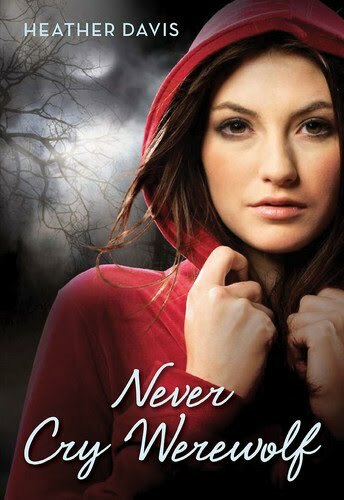 Shelby is fearless and impulsive, but she is also a caring soul who just needs to find her way in a confusing world. This novel has great teen appeal but is not as dark or edgy as others in this genre. It will leave readers wanting more. So what did I think about this book? Well, I thought it was OK. It was a very clean, steady read. So I was pretty much bored. I wasn't bored that it was clean just the steady part. It never really went anywhere, there was one some what intense scene at the end but fizzled quickly. The characters were not fully developed and semi-bland. Shelby was the classic "My mom died and I can't stand my new step mom, so I'm going to do everything to annoy the crap out of her" character. Her whole attitude got on my nerves at times and I will add that Shelby could be very disrespectful to her parents. Which her being a teenage girl was pretty realistic. I couldn't stand how she constantly got herself in huge trouble for Austin, especially in the situation that happens in the first couple of chapters. Seriously, for most of the book she didn't even know him that well and to top things off she had a feeling there was something not right about him. But yet, she always came to his beck-n-call when he needed her help. Though, during the end of the book, I came to a good place with her, were I didn't quite love her but at the same time didn't full-out-hate Shelby. Since, I began to take in her reasoning for acting the way she does and I started to understand her love for Austin even if he wasn't the most normal guy out there. Austin though, was a character that I did enjoy reading about even with his faults. I felt mostly sorry for him, because of how he had to always keep part of himself hidden from the real world. In the book, Austin's dad was a rock legend, so he had to be careful that the kids did not found out about his personal life, for fear of being in the tabloids. Also, towards the end I really liked how he began to come up with ideas that would effect Shelby in a good way instead of a bad one. The other characters - Ariel and Price - could have been pretty cool but not fully developed as they could have been. I didn't think they had enough appearances as I wanted them too. Some of the dialogue was a little younger-for-kids sounding and the story was lacking a good mystery. The only villain was a gossip teen ( looking for a paycheck ) who just wanted to leave camp and expose Austin for what he was - A WEREWOLF - not really that exciting. And, I was really hoping for some resolution with Shelby and her dad... which was disappointing when it didn't happen. If you're in the mood for a lighthearted, clean werewolf teen book then you may enjoy it.